VeryPDF Excel Converter is the best software to convert any kinds of tables. It is support Excel, XLS, XLSX, CSV, XLSM, OpenOffice format (.ods), XML, SQL, WK2, WKS, DBF, Tex, DIF, etc. formats as input formats. The list of target formats is even more extensive. It includes Word (both DOC and DOCX), PDF, HTML, Access, TXT, ODT, ODS, XML, SQL, CSV, Lotus, DBF, TEX, DIFF, SYLK, LaTeX, etc. When you convert Excel to PDF document, you can set user permissions. This will protect your PDF files from being modified or copied. 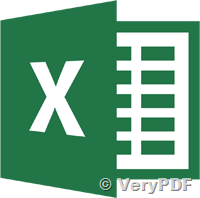 VeryPDF Excel Converter can easily convert OpenOffice .ods files to Microsoft .xls documents. 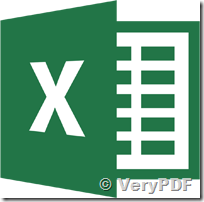 You can reuse Excel documents in MS Excel application without lose the data. Support Command Line and batch conversion option. VeryPDF Excel Converter can convert any spreadsheet: Excel, Excel2007, OpenOffice, xml, .sql, wk2, wks, .dbf, .tex, .dif. It is a set of table converters in one program! Able to convert each page of your spreadsheet into a separate file. VeryPDF Excel Converter can combine several spreadsheets into one multi-page PDF or combine sheets into one single TIFF file. When you convert Excel to CSV or TXT, you can select the text delimiter from the list (Tab, Space, Comma) or set your own delimiter. With VeryPDF Excel Converter you can convert all sorts of spreadsheets from command line. A powerful engine to convert large file size of CSV files fast. Support XLS, XLSX and OpenOffice formats (.odt, .ods), .xml, .sql, wk2, wks, .dbf, .tex, .dif as source files. Support more target formats, such as, CSV to PDF, CSV to TXT, CSV to JPG, CSV to Text, CSV to HTML, CSV to DOC, CSV to RTF, etc. Support command line operation, you can call it from a script or a server side application. Convert XLS, XLSX, ODS, XML spreadsheets in batch through web-servers. 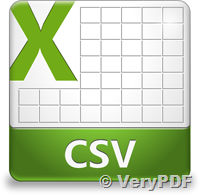 Convert CSV to DOC, PDF, HTML, TXT, XLS, DBF, XML or OpenOffice formats on a web-server. Do NOT need MS Excel application installed. Do NOT need Adobe Acrobat and Adobe Reader applications installed. 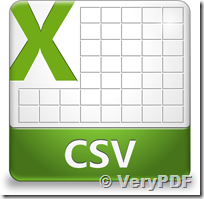 VeryPDF Excel Converter (CSV Converter) is a Command Line application, you can integrate it into your web-server application easily. It easily converts Excel (XLS, XLSX, CSV, etc.) to Word (both DOX and DOCX), PDF, HTML, Access, TXT, ODT, ODS, XML, SQL, CSV, Lotus, DBF, TEX, DIFF, SYLK, LaTeX files on web-servers. It can be called from C#, ASP.NET, VB.NET, PHP, ASP, Java, Delphp, C++, etc. program languages seamlessly. How to print Office documents of xlsx to pdf? This entry was posted in DOC to Any Converter, DocConverter COM, docPrint Pro, OCR Products, Office to Any Converter, PDF to Excel Converter, PDF to Excel OCR Converter, PDFcamp Printer, Table Extractor OCR and tagged csv converter, csv to image, csv to pdf, csv to tif, docpirnt, excel converter, excel to pdf, excel to tif, xlsx to pdf. Bookmark the permalink.